The question, "When to travel?" makes it sound like there's a good time and a bad time. That's not really the case. Depending on what type of traveler you are and what you're looking for in a trip, anytime could be a good time. A good attitude and the ability to roll with the punches are key to an enjoyable trip no matter where you are. However, if the idea of six straight hours of torrential downpour doesn't fill you with joy, you may want to avoid the rainy season in SE Asia. On this page, we'll be discussing weather patterns, national holidays and other fun things that can either disrupt your trip or make it rock. While we can't do anything about freak thunderstorms or flash flood warnings ruining a planned hike or safari, we can plan our trips around the weather patterns that show up every year. Knowing what the weather "usually" does every year can help. We're going to keep this simple and break this down by regions. Each region will have the summer and winter listed as well as the rainy season for that area. The first rule to remember is that the seasons are reversed on either side of the equator. What's summer in North America is winter in South America and so on. The further away from the equator you get, the more pronounced the seasons tend to be. You'll also need to keep in mind that altitude and other factors affects the weather greatly, so use this as a rough guide until you do some research on your particular country. Continents can be huge and seasons may vary signficantly based on how far north or south your country is on that continent. Also note - I'm listing the months by what people in the areas generally accept the seasons to be, not based on solstices and such. *Central America has been grouped with North America as the rainy season coincides for most of the countries there. Being a temperate climate so close to the equator, the seasons don't vary much. **Africa actually has two rainy seasons depending on what coast you're closest to (different monsoon patterns). Be sure to research accordingly as the rainfall has a large effect on animal migrations and other attractions. ***Depending on where you are in Asia, the rainy season can vary significantly. For example, India has multiple monsoon seasons. Do your research before scheduling if this is a factor for you. Oh, it's just a holiday! What's the big deal? How could that ever affect my trip? 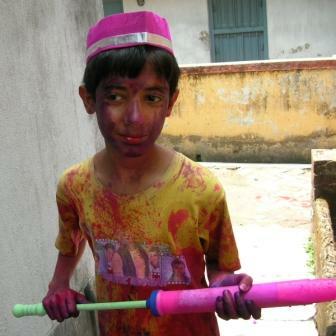 Wander around India during Holi and someone like this young man will be happy to answer that question. Celebrating holidays with the locals can be a lot of fun, but you'll want to know they're coming. Accomodations can fill up quickly and prices can skyrocket during celebrations. A sleepy beach town can turn into bustling center of activity as city dwellers head to the water over a long weekend. Do the research before you arrive and take what you find into account when deciding when to travel. 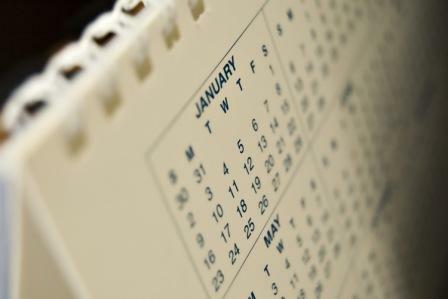 Find out what holidays are happening and what you can expect because of it. Ask the locals as well. It may be a great opportunity to enjoy the local culture. 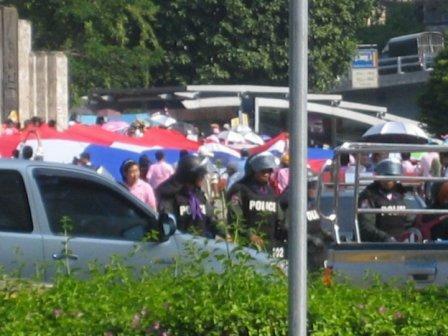 On my last visit to Thailand in 2010, the political situation was getting tense. The arguing parties had made ultimatums and the red shirts were setting up camp in downtown Bangkok. I was aware of all this before I left, but wanted to see some friends and figured I had some time before things got out of hand. My friends and I walked through the red shirt compound and spoke to many involved on both sides. I'm a neutral party when it comes to politics outside my own country, but it was a learning experience. I learned much about the history and culture of Thailand that I didn't know before. Towards the end of our trip, things were starting to take a turn for the worst. The day we left Bangkok, clashes between the military and red shirts occured and 6 people were killed, including a Japanese tourist who was just standing nearby. It quickly escalated with buildings being burned and many more casualties. The hotel we were staying at wrote me an Email, saying that they had barricaded themselves in and that we had left just in time. That's a rather extreme example, but local politics are something you should be aware of when deciding when to travel. Even if it's something benign like a scheduled worker strike, it can have a serious affect on your plans. My goal here is not to scare you, but rather impress upon you the importance of doing a little research. It never hurts and is often very helpful. Feeling overwhelemed yet? :P Remember that planning a RTW trip is a gradual process. Tackle each of these steps as you have the time and I promise it won't be so bad. You don't need to spend hours combing the Internet and travel guides for each place. Just spend a few minutes reading up on each destination you have in mind. By the end of this step in your planning, you should have a rough idea about when to travel. We're slowly closing in on firming up our route!